James Nelson Barker was not only a playwright, but he also was an American soldier and a politician. During the War of 1812, he rose to the rank of Major and was elected the Mayor of Philadelphia in 1819. As mayor, he spoke out against slavery. He wrote Superstition in 1824, after his political and military career. Although it feels very much like a melodrama, Barker labels it a tragedy in his very title. In the play’s preface, Barker claims that the play is based off of real events that occurred in New England during the late 1600’s. It critiques tyrannies of power and religious fanaticism. In Superstition, religious leaders are presented as able to drum up the fear of the “other” in order to tyrannically wield and maintain their power. It was first performed on March 12, 1824 at the Chestnut Street Theatre in Philadelphia. As a playwright, Barker was known for his ability to infuse his works with a sense of patriotism. He intentionally moved away from the British style of playwriting in order to create his own American version, which contained plays that dealt with American problems, themes, settings, and characters. Superstition is set in a small Puritan village in colonial New England, “about the year 1675.” The play’s hero, Charles, is persecuted along with his mother Isabella by the Reverend Ravensworth on the claim that they are practicing witchcraft. During an attack on the village by a group of American Indians, Charles is seen with a mysterious figure, known in the script as “the Unknown,” who helps the villagers to fight off the attack. The Unknown immediately disappears after the battle, which only adds to Ravensworth’s vicious attacks against Charles. To make matters worse, Charles is deeply in love with Mary, the daughter of Ravensworth. Charles and Isabella are forced to face a trial. 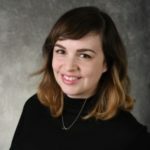 During the trial, Mary is about to be brought forward as a character witness, but Charles instead offers to admit to anything that Ravensworth wants him to, in order to protect Mary from having to speak publicly to the court. Charles is executed, causing his mother and Mary to die of grief at the mere sight of his murdered body. While all of this was occurring, Sir Reginald Egerton and George Egerton, two British characters, are in the village in search of the Unknown in order to issue him a pardon for the murder of King Charles II. This is revealed at the very end of the play, along with the fact that the Unknown is Isabella’s father (and therefore also is Charles’s grandfather). The ending also contains the revelation that Isabella and the king “espoused in secret,” causing the birth of their son, Charles Fitzroy. Nature: The Unknown is described as being very closely connected to the wild. This is where he lives, as well as the place where the audience (and Charles) first meet him. At the beginning of Act II, the Unknown is described as “His dress is of Skins: his general appearance, wild- but his air and manner dignified.” Unlike ecogothic depictions of man living in the wild, he has not degenerated. 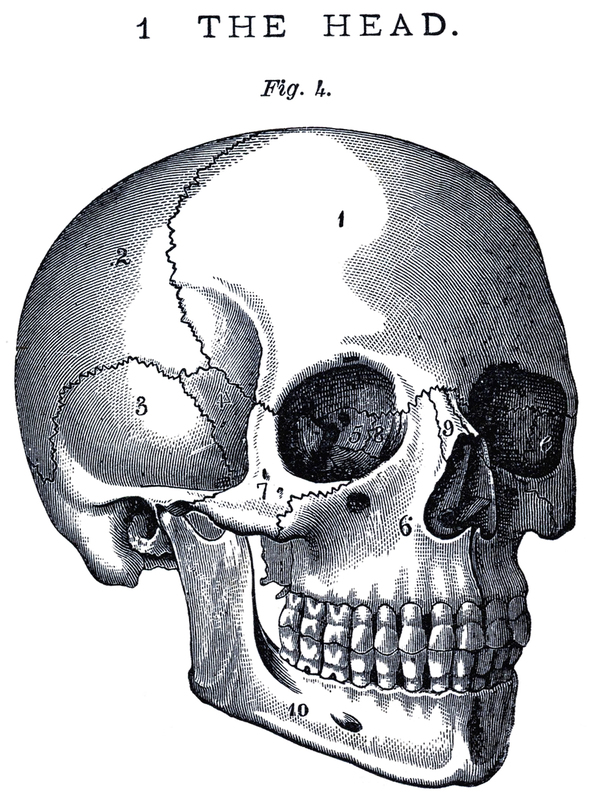 However, there are elements of the ecogothic in the Puritans’ reading of the Unknown. Just the sight of his wild appearance leads Ravensworth & co. to assume that the Unknown is somehow supernatural and evil. Earlier in the play, Ravensworth angrily forbids Mary from walking alone in the forest (this may also be wise precaution given the very real-world dangers that existed in the woods at that time). The play itself also contains some elements of the ecogothic. In Act V, as Charles is being convicted, a great storm is heard outside. 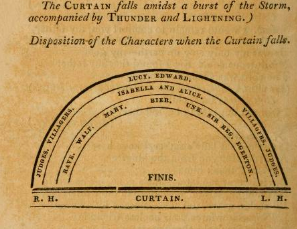 The stage directions call for the sounds of thunder at key moments in the trial scene. At the end of the play, Barker included a note on the final tableau. American Indians: The American Indian characters within Barker’s play are essentially just part of the background. There is no description of their dress or the way they should look. Additionally, they have no lines and simply appear to wreak havoc upon the New England settlement. They are depicted as sub-human and just another dangerous part of the American environment with which the white settlers need to contend. 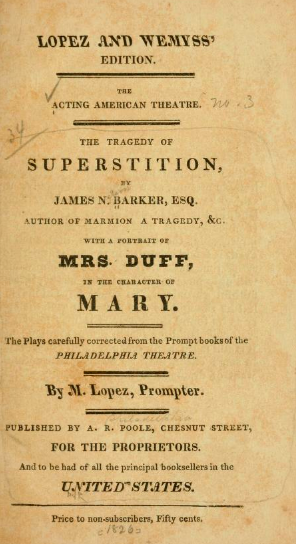 The Tragedy of Superstition; or, the Fanatic Father (1824) by Caitlin Duffy is licensed under a Creative Commons Attribution-ShareAlike 4.0 International License.